I've been working hard this weekend to put some of my newest creations up in my Etsy shop, How To Use Art. 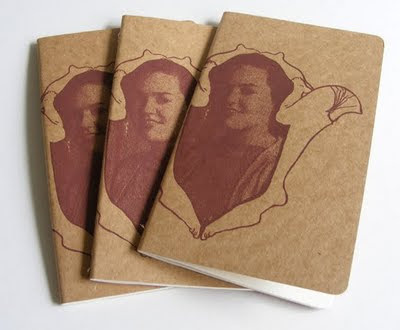 Up above is a little deer purse I screenprinted with bubblegum pink ink, and below are some Moleskine sketchbooks hand printed with my Girly Crest images. I kept one of these for myself, and I can't wait to start drawing in it! 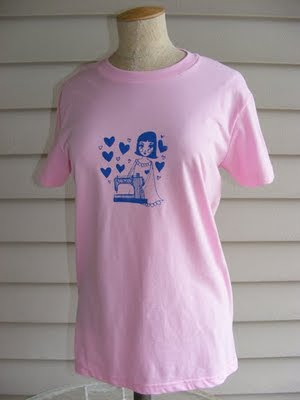 Below is the front of my new "Craft is Love" t-shirt, which features a girl hugging her sewing machine. 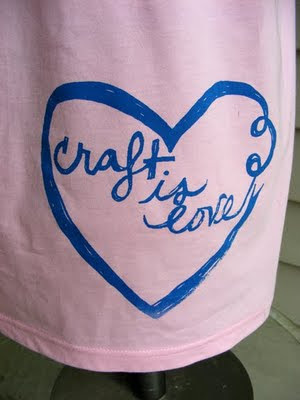 The back of the shirt has a heart with the words "Craft is Love" inside of it on the lower right hand side of the shirt. I've also got some exciting news: I'm in an Etsy Gift Guide right now for the Perfect T-shirt. Check it out here! Hooray! I had so much fun making and listing stuff this weekend, and I am REALLY not looking forward to going back to work on Monday, especially since I have to go an hour earlier in to my day job and teach late at my night job, sigh. I really hope the economy continues to get better soon so I can think about working for myself again....that is the eventual goal of all this, and I hope that dream comes true soon. Aww! Cute items! The t-shirt with the girl and sewing machine is my fave! I love the little green purse! So cute! 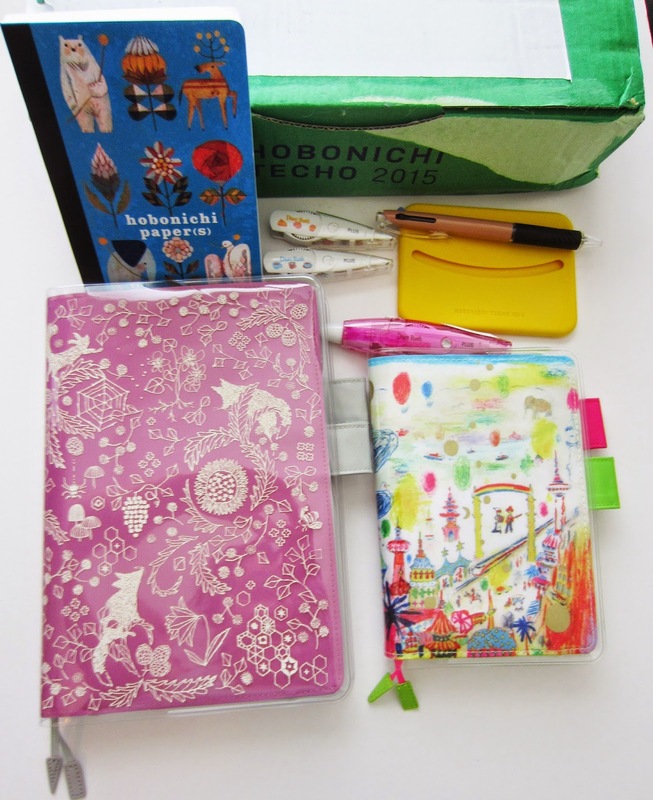 Really lovely - and well done on the gift guide! YAY! I'm glad you got to do some fun stuff this weekend!! I'm going to go check out your Etsy and the link for the Gift Guide! everything is so cute! 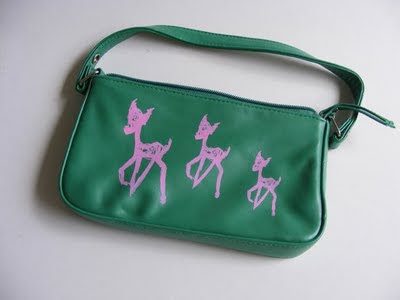 love the bag.. i am such a sucker for small deer and fawn things. 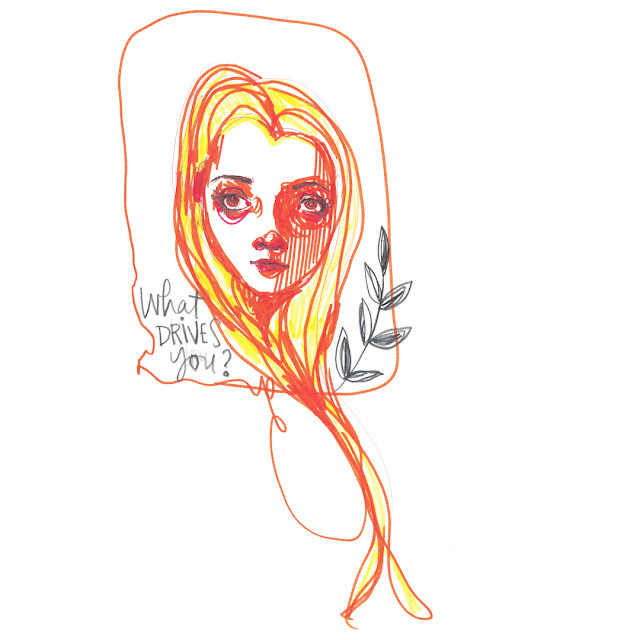 hope your dream comes soon too. I know how it is to not have much time on your craft because of having to have a day job you're not passionate about just to make a living. Good luck and good blog here!